Jake and Heather combine their passion for dance to prepare their students for social and competitive forms of dance. Heather was a student dancer throughout her youth, all the way through high school. During her senior year, she was also a member of the Bolles Dance Company. After graduation, Heather attended Florida State University and majored in dance. In 1996, she found her love for ballroom dancing and began to train as a professional. Ever since then, Heather has taught all ages and levels. In addition, she has competed professionally throughout the United States. She won many Rising Star events and was a United States finalist in the 9 Dance Division. Jake started ballroom dancing as a teenager and won his first competition at the age of 20. Jake combines his passion for dance and background in Athletic training/Physical education to prepare his students for competitions all over the world. 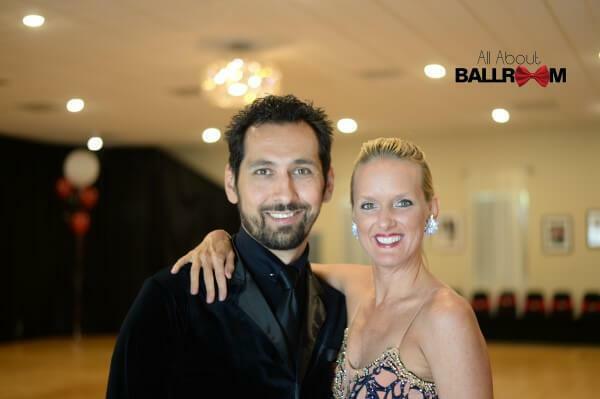 Jake has taught Ballroom styles of dance to students of all levels since 2002. Jake also holds a Bachelor’s degree in Construction Management from UNF.